What a great start of the year it’s been for the Forays team. 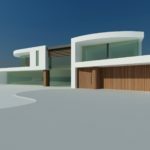 From planning permission to construction, to beautiful show homes and build completions, we’ve loved bringing properties to the market and look forward to what the rest of the year has in-store for us. With a total of 15 properties under construction, it’s been a productive start to the year. With two homes in Mudeford, five house in Oakley and five flats and three houses across two developments in Fleet; Clarence Road and Albert Street, many homes are well on their way to being complete. We have gained planning permission for a single detached house in the beautiful Village of Newnham. Construction is also due to commence at our Deepcut development in the Autumn 2018. Our Rye Common development near Odiham is in its final stages of construction with two homes already sold. Our luxury Fort Road development in the sought-after area of Guildford, has now also been completed with one property sold. Properties have also been sold in East Horsley and Windlesham and we hope the new owners enjoy their new homes as much as we enjoyed designing and building them. Not only has it been a great year for developments, the team have also taken part in a number of events for charity. 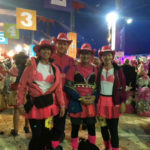 Roger Atkinson (founder and owner) took part in the Moonwalk earlier this year in aid of Breast Cancer. The 26.2 mile, 7.5 hour blister-ful walk took place around London starting at 10:30pm. A huge congratulations again Roger and friends! The team also supported Morgan Lovell in their Easter Egg appeal in aid of Great Ormand Street Hospital, another amazing cause. 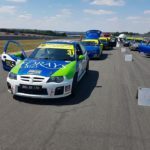 We continue to sponsor Jack Roberts racing who recently took home 3rd and 4th place at the Donington Park, MG Nottingham Ltd MG Trophy Championships despite a hole in his radiator, congrats! Good luck for the rest of the year. You can see all of our latest projects here and more news from Forays and the team here or be sure to follow us on social media for regular updates and industry insight.